HARTFORD - The Travelers Championship is bring back some familiar faces to bolster its 2019 field. 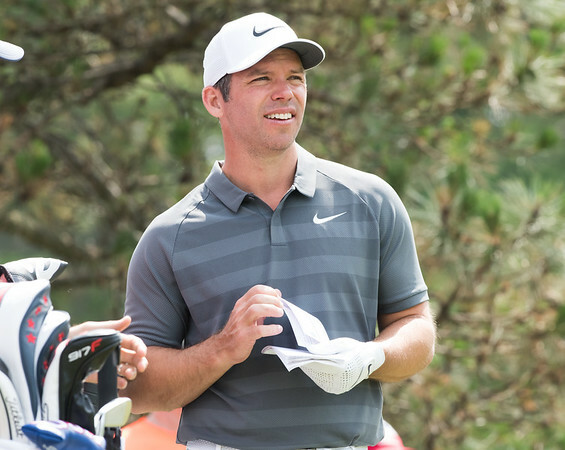 The tournament announced Wednesday that Marc Leishman, the 2012 winner, and two-time runner-up Paul Casey have committed to play in this year’s event at TPC River Highlands in Cromwell. Both Leishman and Casey are currently in the top 20 in the World Golf Rankings and join six others ranked there - Brooks Koepka (No. 3), Justin Thomas (No. 5), Bryson DeChambeau (No. 6), Francesco Molinari (No. 7), Tony Finau (No. 14) and defending champion Bubba Watson (No. 17) - who have committed to play in this year’s tournament. Leishman is currently No. 18 and Casey is ranked 15th. Casey finished second at TPC River Highlands in 2015, when he lost to Bubba Watson in a playoff, and again in 2018, when he also finished second to Watson. The 41-year-old Englishman is a two-time winner on the PGA Tour, with victories at the 2009 Shell Houston Open and 2018 Valspar Championship. Casey has 13 wins on the European Tour, most recently at the KLM Open in 2014 and has represented Team Europe in four Ryder Cups (2004, 2006, 2008, 2018). The Travelers Championship will be held June 17-23 at TPC River Highlands in Cromwell. For tickets and more information on this year’s tournament, visit www.TravelersChampionship.com . Posted in Newington Town Crier, General Sports on Wednesday, 20 March 2019 20:46. Updated: Wednesday, 20 March 2019 21:17.